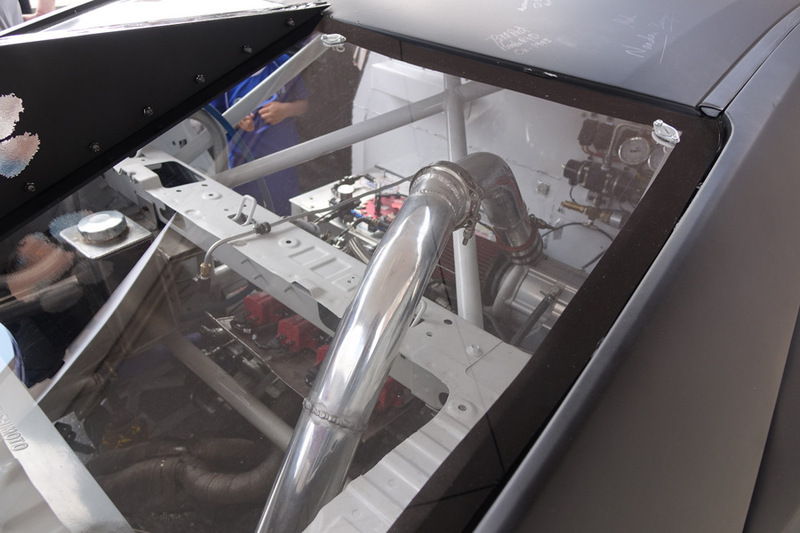 A view into this engine compartment is disorienting, much like the old VW Beetle: nothing is where it should be. The front engine compartment contains an electric motor. But the real twist is that there is also a more traditional turbocharged engine in back. The 2 power plants give a more than 700 horsepower combined! Although top speed is limited, the vehicle is tuned for rallycross competition, with quick acceleration (0-60mph in 2 seconds) and reclaiming energy during braking. 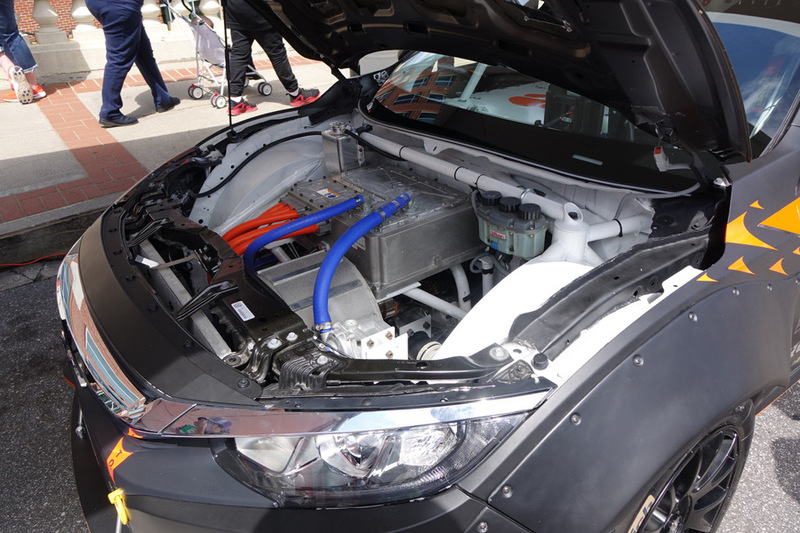 The vehicle, dubbed Deep Orange 9 was created by students at Clemson University’s automotive program at CU-ICAR and was exhibited at the Imagine Upstate festival. The Clemson Tiger Tailgate pregame radio show was set outside of the Nosedive restaurant off Main Street, as the Tigers prepared to compete in the Orange Bowl. Since it was a chilly evening, the fire heater kept the broadcast booth from getting too cold. This is all part of Clemson being integrated into Greenville as Orangeville. The Clemson MBA program has now moved into its new home in the Project One building on Main Street. The Fall colors are reaching a peak in Greenville. Because of this I’m sharing one of those Fall color, Clemson orange … By way of explanation for our international readers, Clemson is one of our local universities and their team colors include orange. Football is very popular this time of year and when you attend a Clemson football game you see 80,000 fans all dressed in orange … Today’s photo shows the motorcycle, of one Clemson fan, parked on Main Street in downtown Greenville.